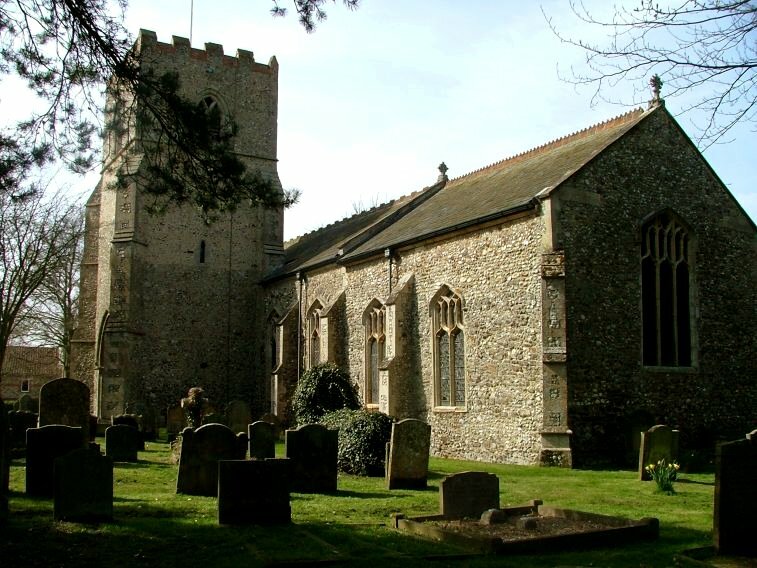 In this area of rolling hills and narrow, secretive lanes in the area to the west of Fakenham, Colkirk is the surprise of a large village. 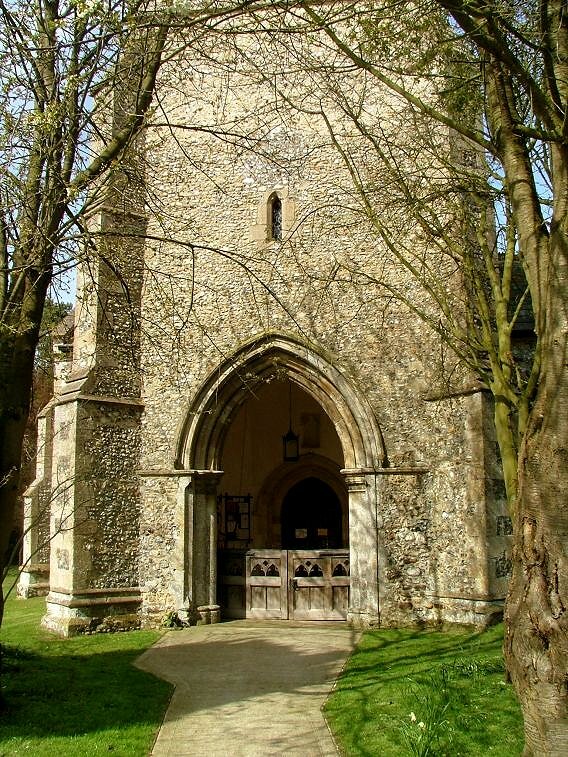 As with several others around here, the tower forms a porch on the south side, and is approached along an avenue of trees. 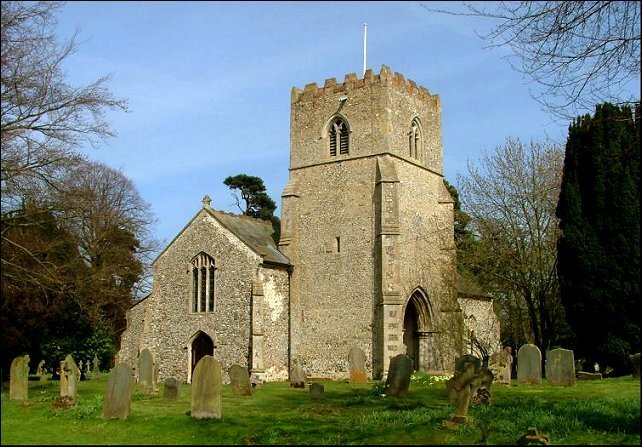 This is a small church, the chunky 14th century tower making it appear larger than it is, and it was even smaller before the 19th century when the north aisle was built, opening up the inside and filling it with light. 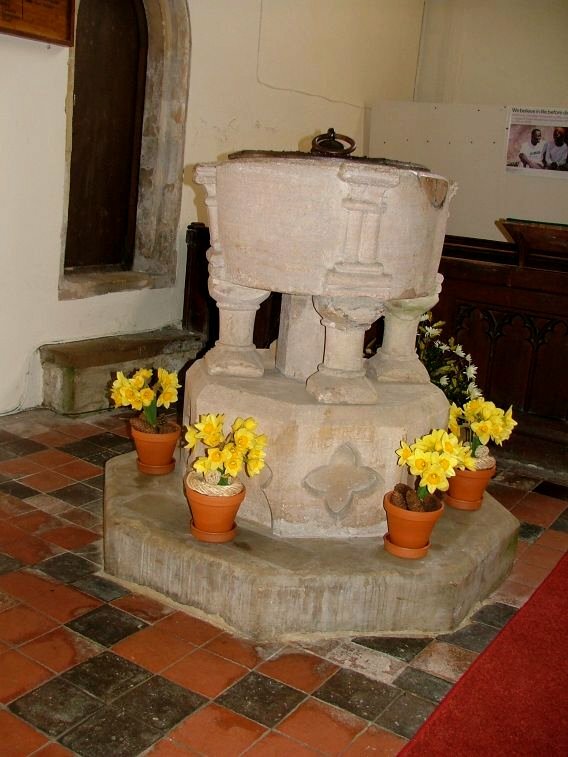 In common with other nearby churches, there is a Norman font, this one unusually placed on a tub-like pedestal with quatrefoil decoration. 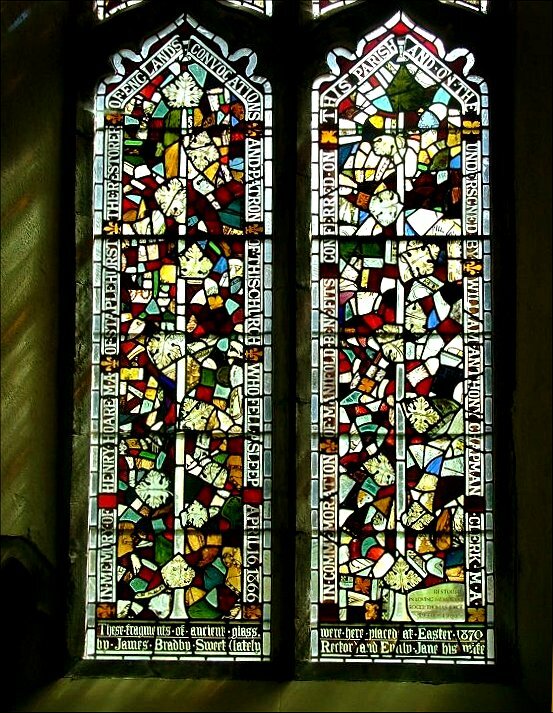 Apart from a scattering of medieval glass collected in a nave window, everything else you see here is from after the Reformation. 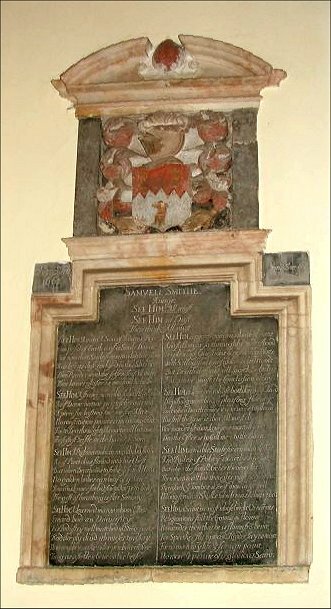 The large 18th century memorial in the aisle was brought here from the neighbouring parish church of Oxwick when it was abandoned in the 1940s. 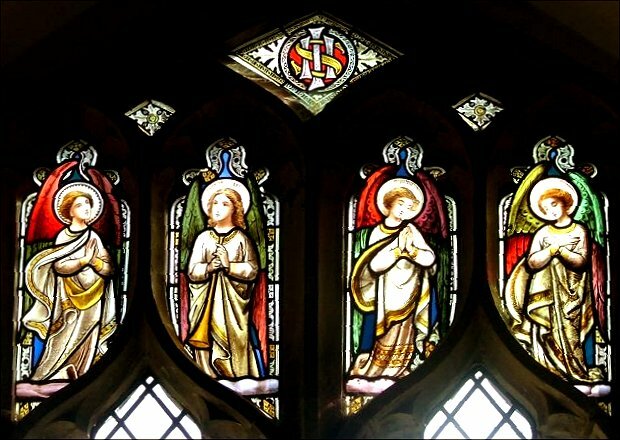 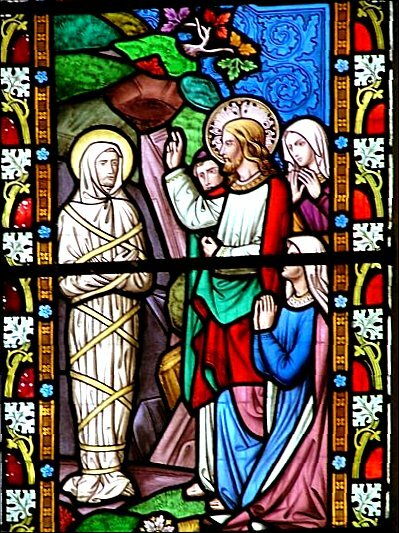 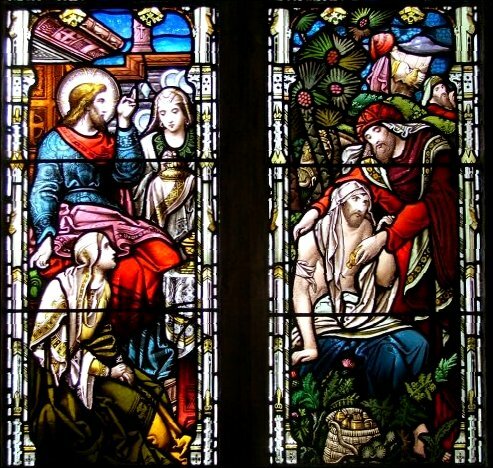 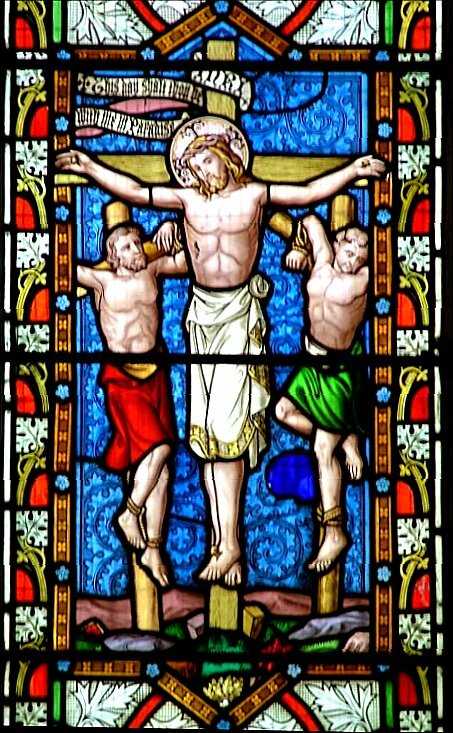 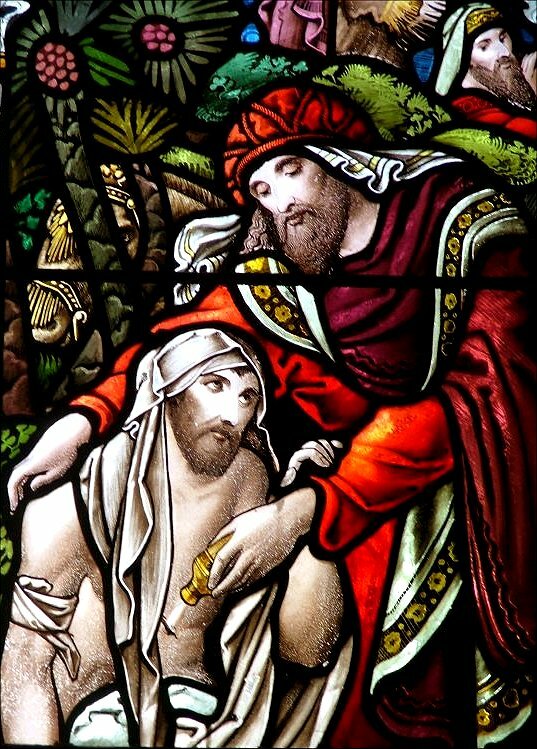 The east window has some good mid-19th century glass in the French cathedral style. 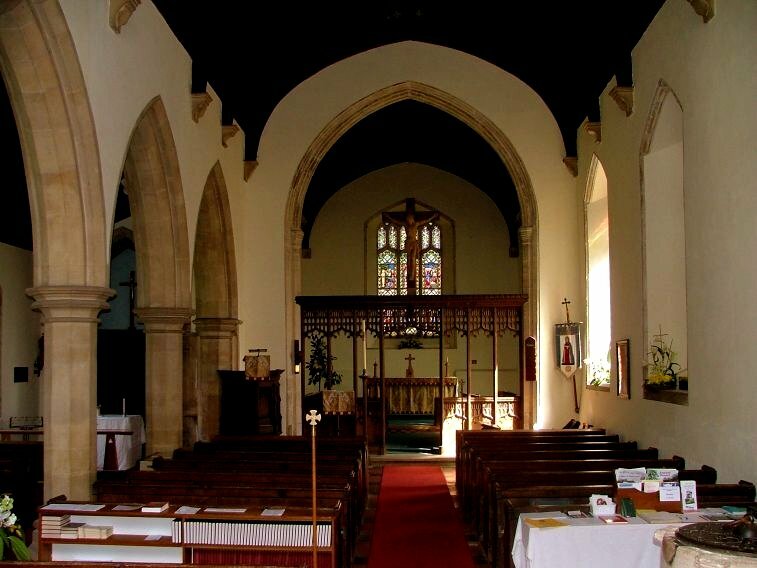 The interior is not tremendously exciting or important, but this is a lovely, well-kept church that is obviously busy and loved. 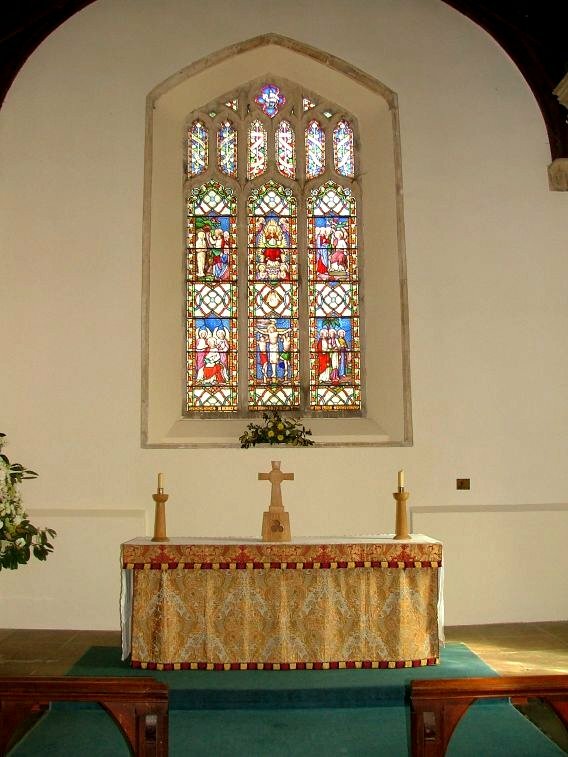 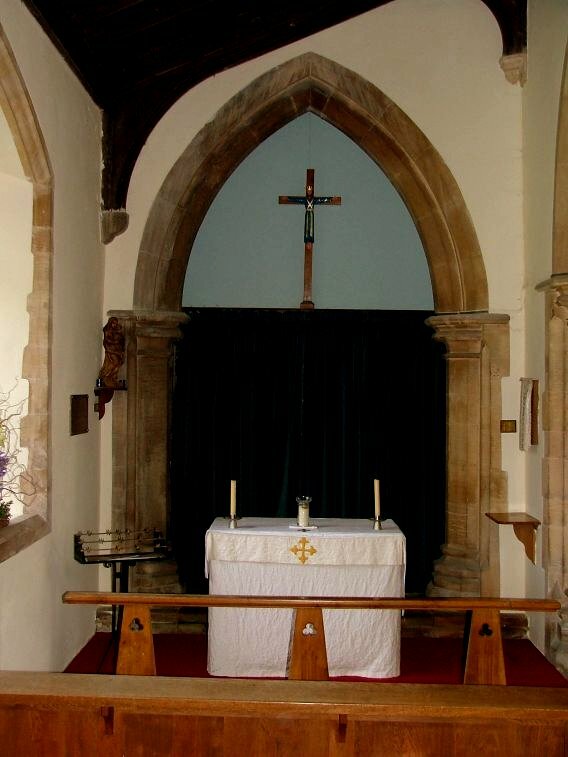 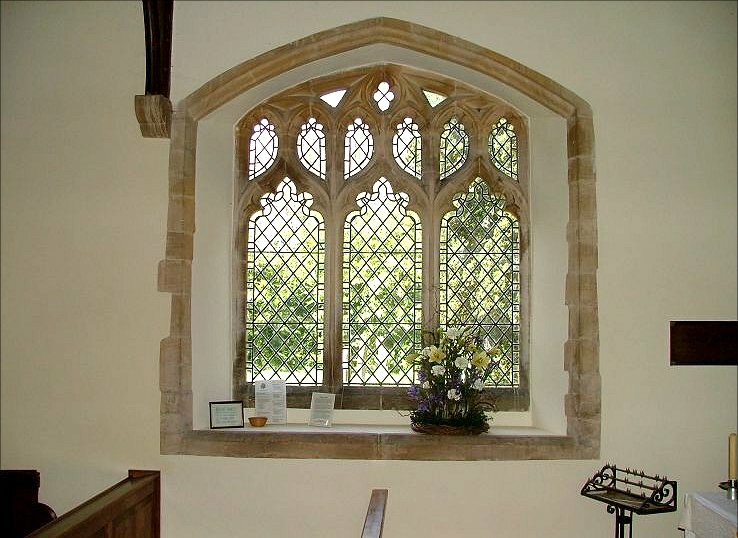 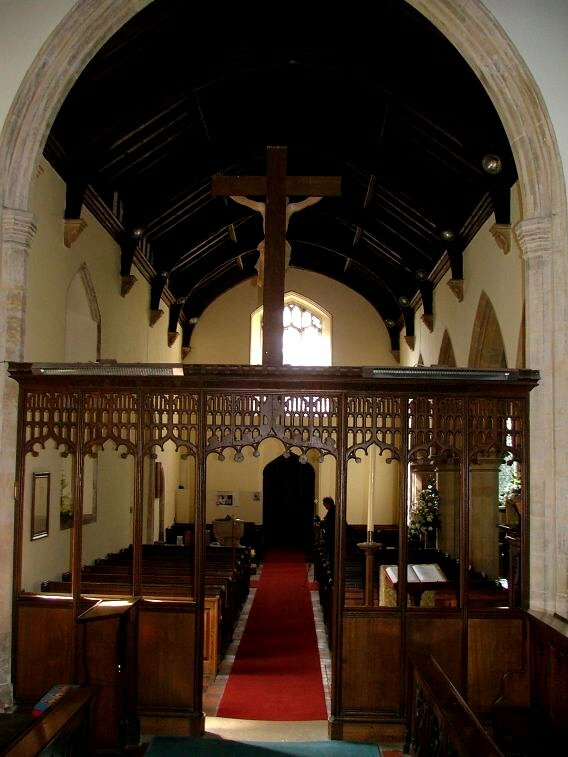 When we visited in the spring of 2006, it benefited from being one of the churches in the benefice of Father Paul Inman, all of which seem to be open and welcoming.